A former Dallas Cowboys Running back is out of jail on bond following a Monday morning arrest in Collin County. McKinney police were called to the Whataburger because a man was asleep in the drive-thru lane. 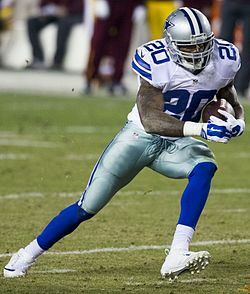 Darren McFadden is charged with DWI and Resisting Arrest. He played with the Cowboys from 2015 to 2017.